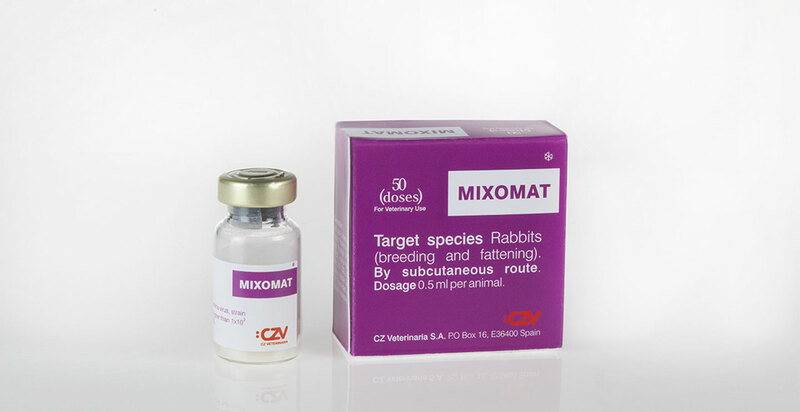 immunization against Mixomatosis Virus of adult rabbits. Each dose contains live Shope‘s Fibroma virus, strain Boerlage (ATCC VR-253), equal or higher than 1x103 CCID50 (Cell Culture infective Dose 50). Freeze-dried and diluent for reconstitution. Vials of 10, 20 or 50 doses. Age of first administrationFrom 1 month of age.